As everyone knows, we make wreaths to sell. Residents put them together and then they are decorated. We make them for every season and holiday. 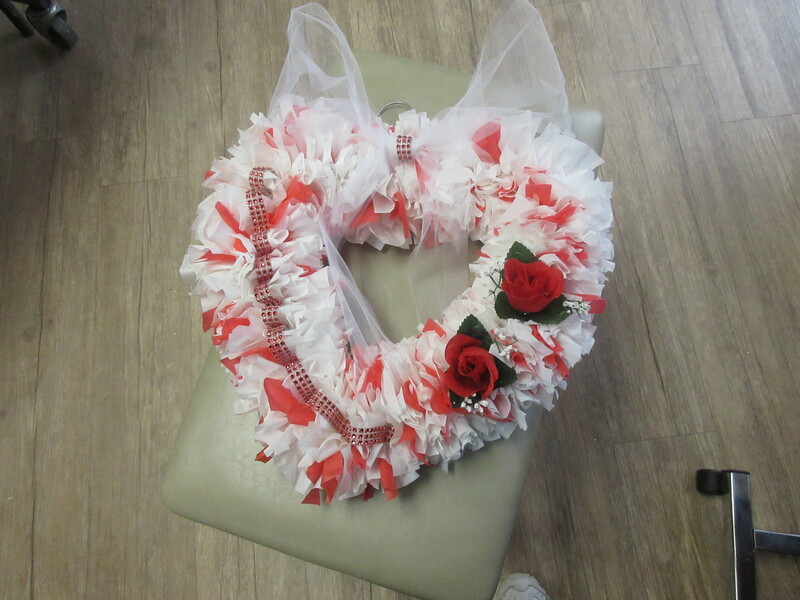 We also make sports wreaths. Here are some examples. If you would like to order one, feel free to give us a call at 423-365-4355 and ask for the Activities Department. We will be happy to fill your order. 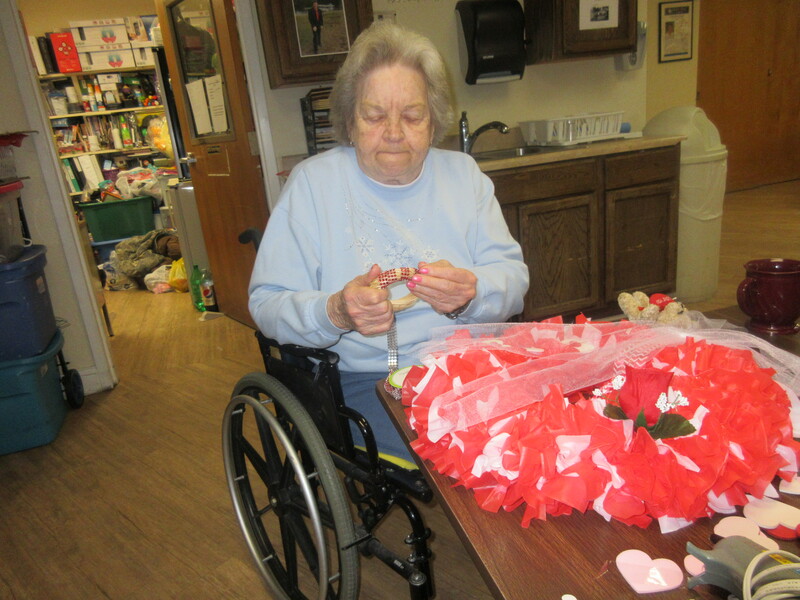 We will be having a Valentine sale on February 14 from 10-2, so feel free to come by and pick up a balloon or two, stuffed animals, flowers or candy. They sell for a very good price. 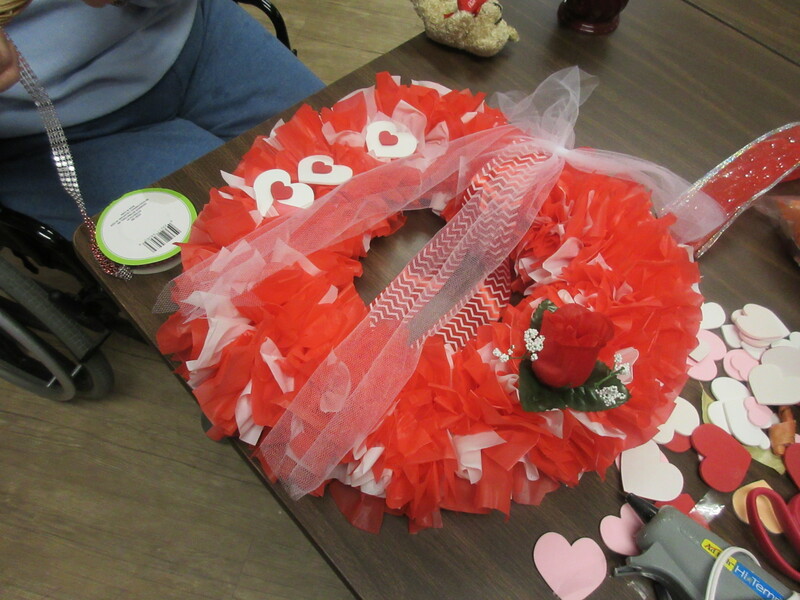 And it also helps our activities department out for outings, and other crafty things.